What colors are gators and crocs? So guess what? My crocodile and alligator are not green! The croc is on the outside since he’s speaking TO the gator, and vice versa. Hear my chatter about why we color them green in the video. Watch the video below or click HERE to see it in HD on YouTube. I love coming to your blog for art and information about colors of object, animals, etc. Makes for an entertaining video. 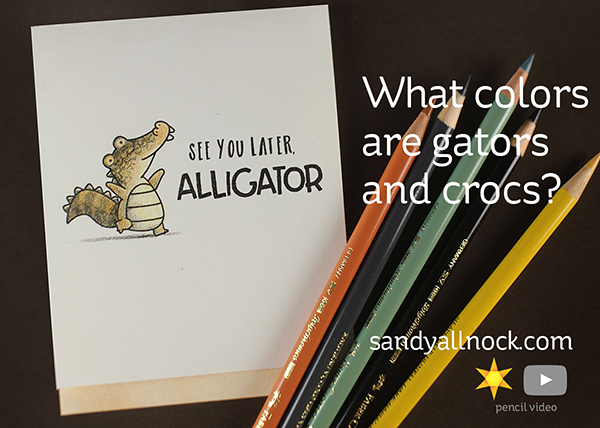 Sandy, I always love seeing your colored pencil cards… but this time I got a lesson on gator/croc colors along with some great dad cards. Fab job, as always! Always educational! 🙂 Thanks, Sandy! 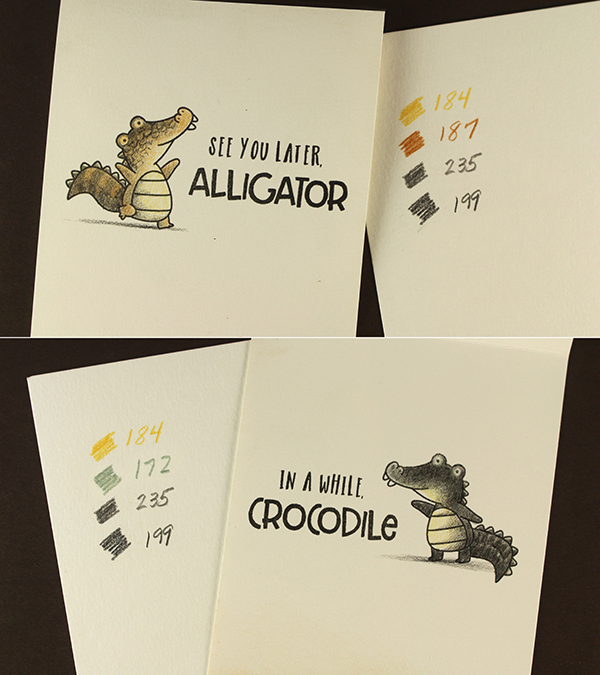 I had to laugh so much when you said that the aligators and crocodiles are not green, you sounded so disappointed. They are not as bright green as whe think but there are some varieties who are more green then others. 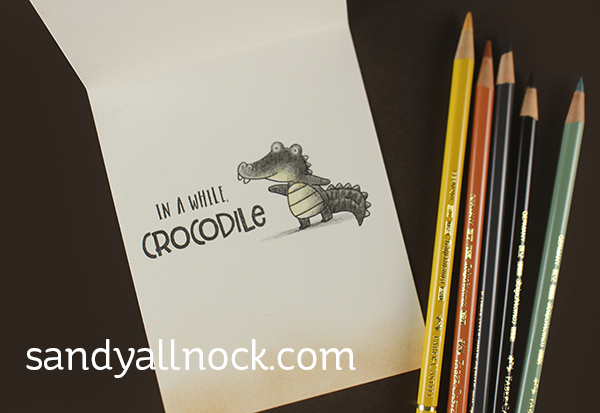 The aligator and crocodile you coloured are awesome and look so real.I use Google often when I want to colour something and want to know if it exists in the colour I want to use, its a great help. Thank you for your awesome card Sandy and have a nice weekend. Well that blew my ideas of these dinosaurs out the water, not green ! Where did we all get green idea from ? Is it that lots of story book & cartoon versions are green ? Thank you for the heads up. These animals must be one of the few breads still around that look very much like their dinosaur ancestors. Fun card & a definite dad joke from our house to. See you later alligator !